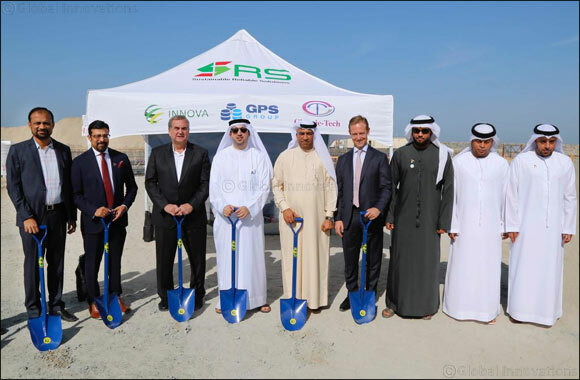 Dubai, UAE, January 05, 2019: SRS Middle East FZE, which is a joint venture that consists of Global Petro Storage (GPS), Innova Refining Industries, and Chemie Tech LLC, has announced its decision to select Sharjah as the destination for its latest investment projects in the Middle East Region, following its recent decision to make Hamriyah Free Zone the starting point for its operations in the region. The group's long-term Dh160 million investment in the Hamriyah Free Zone includes the construction of a terminal that provides services for industrial reprocessing of waste oils, as well as trading services that include trade, import and fuelling of ships. The terminal is expected to be fully constructed and operational in early 2020. HE Saud Salim Al Mazrouei, Director of Hamriyah Free Zone Authority and Sharjah Airport International Free Zone Authority, stated that the decision of SRS Middle East to make Sharjah the headquarters for its operations in the region is a clear indication of the prominent status of the Emirate globally. He clarified that the added benefits offered by Sharjah to foreign investors help make the emirate a prominent destination for establishing businesses and expanding into the markets of the region. “There is no doubt that the Hamriyah Free Zone is the ideal choice for direct foreign investment, due to our continuous investment in developing the zone's infrastructure in order to meet the logistics demands of both small and large enterprises. We also offer a wide range of competitive services and benefits that simplify operations, in addition to our constant dedication to apply innovation to the services we offer to all companies operating in the free zone.” Al Mazrouei added. Saeed Mohammad Alnamer Public relations Manager of SRS Middle East , stated that SRS Middle East is looking to begin its operations in the Middle East region through the emirate of Sharjah. He added that Sharjah was chosen as the location for the group's regional headquarters due to the competitive advantages offered by the emirate, which includes its various facilities, its strategic location, its up-to-date logistics services, and its modern infrastructure that meets the demands and needs of the group. Saeed Alnamer pointed out that the new terminal will be equipped with the highest levels of automation, environmental protection, and sustainability. He declared that the terminal will also feature a vapor control unit to ensure operational safety, as well as to control and minimize emissions to the atmosphere. He added that the group is committed to adopting the highest global standards in all its operations in order to better service its clients. The project is both the joint venture's and GPS's first investment in the Middle East, which is considered a key strategic hub that the company plans to expand around. SRS Middle East will develop, own, and operate a state-of-the-art hydrocarbon storage terminal, which will be built in accordance to the best international standards. The terminal will consist of 23 above ground vertical atmospheric storage tanks of various capacities, with a cumulative nominal capacity of 178,646 cubic meters. The company will receive and dispatch Gas, Oil, Gasoline, Naphtha, Fuel Oil, Crude Condensate Oil, Bitumen and several Petrochemical products from the inner and main harbours, as well as load and unload trucks via a dedicated facility within the terminal.